Home » News » How long do uPVC windows last? uPVC windows are the most commonly found type of window in the UK. Cost-effective, energy efficient and available in a huge number of colours, it’s easy to see why. If you’re thinking of purchasing a set, or you have some already, you may be curious to know how long they’re expected to last. So let’s take a closer look and find out. A National Building Federation report gives uPVC windows a life expectancy of 20-25 years. However, with so many factors affecting lifespan, determining an exact answer is difficult. The quality of the installation will affect the life of the windows. Windows that have been installed poorly are unlikely to last as long as a professional installation. The same goes for the quality of the uPVC in use and that of the window’s individual components. The better quality the materials, the increasing likelihood of a longer life. Extensive exposure to the elements will affect a window’s lifespan. Therefore, south-facing properties are at an increased risk of deterioration from prolonged sun exposure. Sadly, with UK weather the way it is, any windows are bound to experience more than their fair share of rain too. Excessive condensation build-up can also affect the lifespan of a window negatively. Condensation is common in the UK, due to the excessive humidity. However, ensuring your rooms are well-ventilated, especially those where a washing machine or tumble dryer is in use, can help reduce the amount forming on the inside of your windows. The British Plastics Federation points out that regular maintenance of uPVC windows can extend their lifespan. This means occasionally using a soft cloth and warm, soapy water to wipe dirt from the frames and checking the hardware, lubricating gaskets and hinges if necessary. The following are indicators that your uPVC windows are nearing the end of their lifespan. Condensation: Depending on where the condensation is occurring will determine the severity of the problem. However, if it’s between the two panes of glass on a double glazed window, this is a sure sign a replacement needs to be considered. Leaks and draughts: This could mean that one of the window’s seals has failed. Difficulty opening and closing: This could indicate a problem with the opening mechanism, however if opening and closing is excessively difficult, it might be time to consider a replacement. If your windows are demonstrating any of the above warning signs, it’s important to consider some replacements. With uPVC windows from Oakley, you’re guaranteed an exceptional installation, materials of the highest quality and a 10 year guarantee as standard. 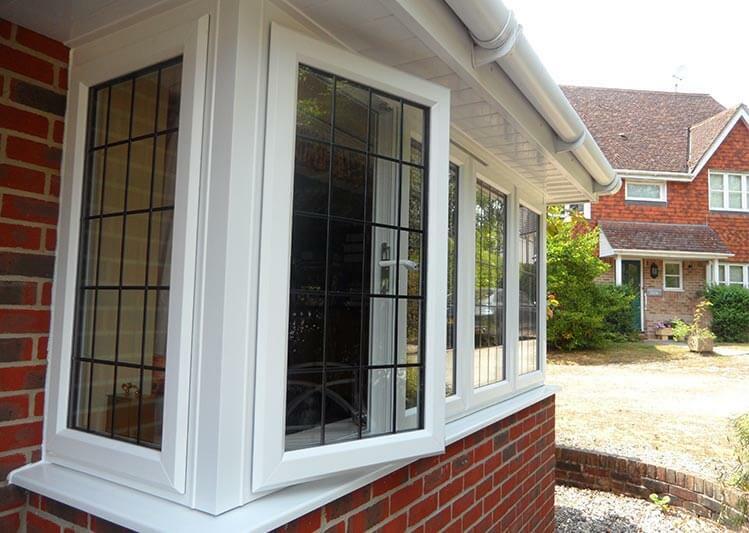 We offer a bespoke range of replacement windows, whether you’re looking for uPVC or another material, like timber or aluminium. Get in touch today and we can advise on the best for your home’s needs. Speak to a member of our team by phoning 01635 877 959 or send us an online message.